Last month, my boyfriend and I decided to go out for a nice meal to celebrate his new job. I had heard quite a lot about The Hopping Hare in nearby Duston from friends and colleagues and, although I had previously been for a drink there, I had never sampled the menu. As we were celebrating, we decided to get a taxi to and from the restaurant as my boyfriend had seen an offer boasting half price wine on Friday nights which seemed too good to resist! The Hopping Hare is situated along the Harlestone Road, heading away from Northampton. 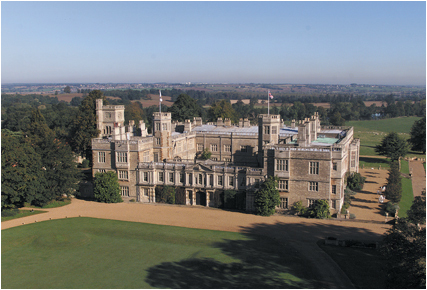 Upon first glance, it looks like the hotel and restaurant is in the middle of a housing estate which seems rather odd as the building itself does not look anything like the homes surrounding it; it is, however, a stunning building with a beautiful interior. 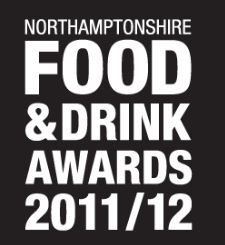 The premises is a family run business which changed hands in 2006 and boasts a luxurious bar, several en suite rooms and an award-winning restaurant which was in fact one of the finalists in this year’s Carlsberg Northamptonshire Food and Drink Awards. Although we were some 15 minutes early, we were shown straight to our table which was in a quiet part of the restaurant containing only a few tables although it was possible to see through to the main dining room. The tables were filling up fast however, the restaurant wasn’t too noisy and was dimly lit, with lots of candles providing a romantic glow to our surroundings. The customer service provided from our waiter was excellent as he promptly informed us of the daily specials and that the wine offer did not just apply to a few select bottles but every bottle of wine, and fizz, that was available, as well as single glasses. We ordered a mid priced bottle of Sauvignon Blanc and a bottle of tap water which was promptly delivered. The ethos behind the menu at the Hopping Hare is using the freshest, finest quality ingredients and using local producers wherever possible. Menus are changed regularly to fit with the changing seasons. I personally love the ethos of this place and the passion for good quality food clearly showed in the menu. There were starters such as Confit duck leg and pigeon terrine with bacon, prunes and pickled shallots and walnut toast and Linguine with braised pork shoulder ragu, white truffle oil and pecorino. There were also sharing starters on offer such as Baked Camembert, which we were particularly tempted by and a Seafood board. 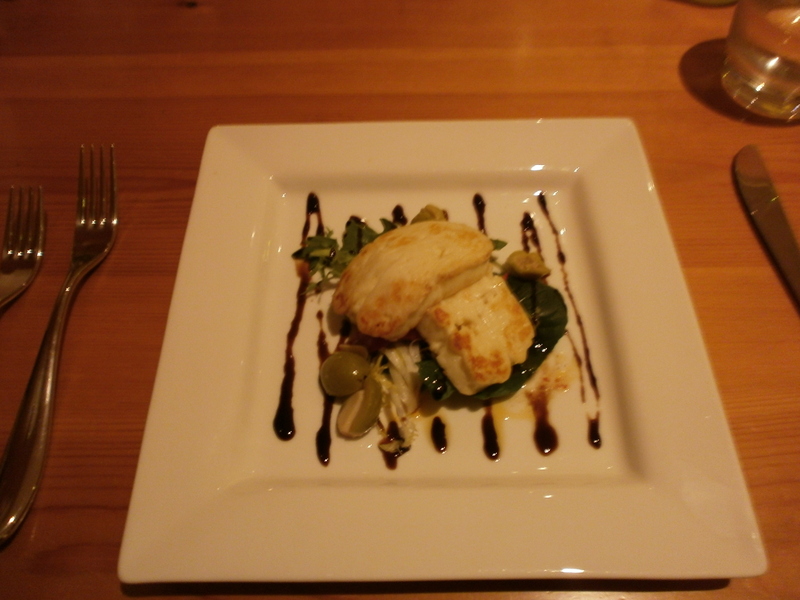 Mains included pub classics such as Saul’s free range pork sausages to the more inventive Pan fried sea bass with rocket salad, lime, red pepper aioli and crushed new potatoes; prices ranged from a reasonable £11.50 to just bellow the £20 mark for a steak. 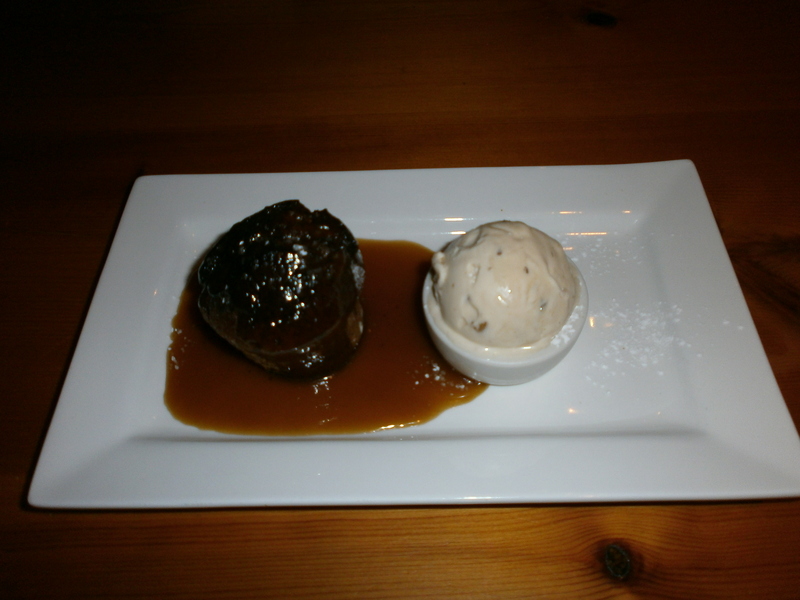 The specials menu was particularly good when we visited the Hopping Hare with three choices of starters, three mains and one dessert. For a starter, I couldn’t resist the Overnight-braised pork shoulder croquette with honey roasted apple and blackberries as pictured below. The croquette was wonderfully crisp and the sweetness of the blackberry and apple complemented its earthy flavours beautifully; unusual seasonal combinations that worked really well together. 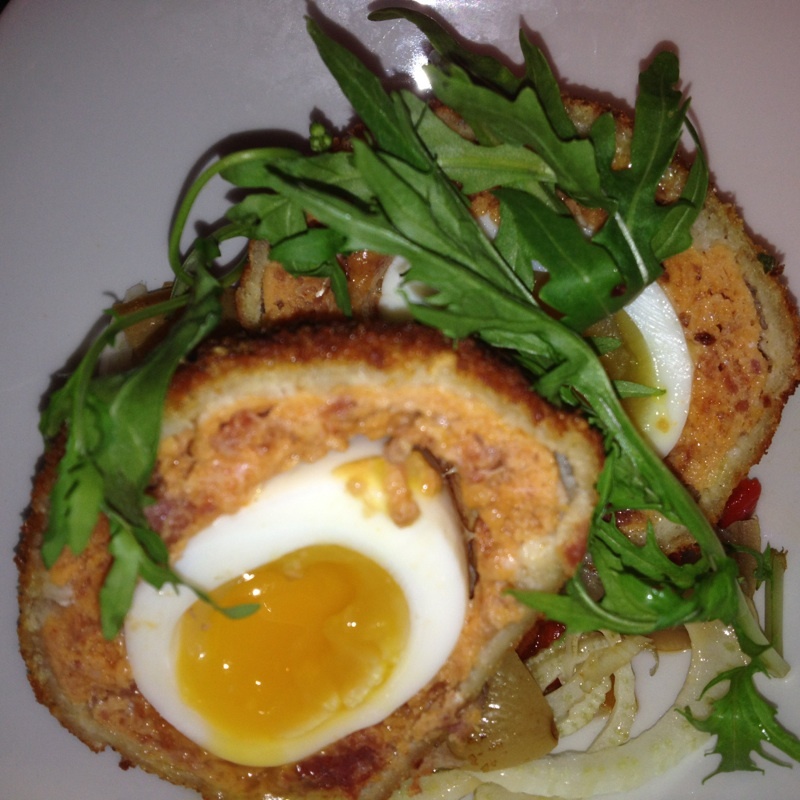 My boyfriend loves chorizo, as do I, and as we have had some sublime scotch eggs in the past, he chose the Chorizo and salt cod Scotch egg with shaved fennel, preserved lemon and roasted red pepper salad. He thoroughly enjoyed the Scotch egg which was complete with a runny yoke however, he felt the bitterness of the preserved lemon didn’t really work with the rest of the dish plus, there was so much of the stuff it was difficult to get away from. 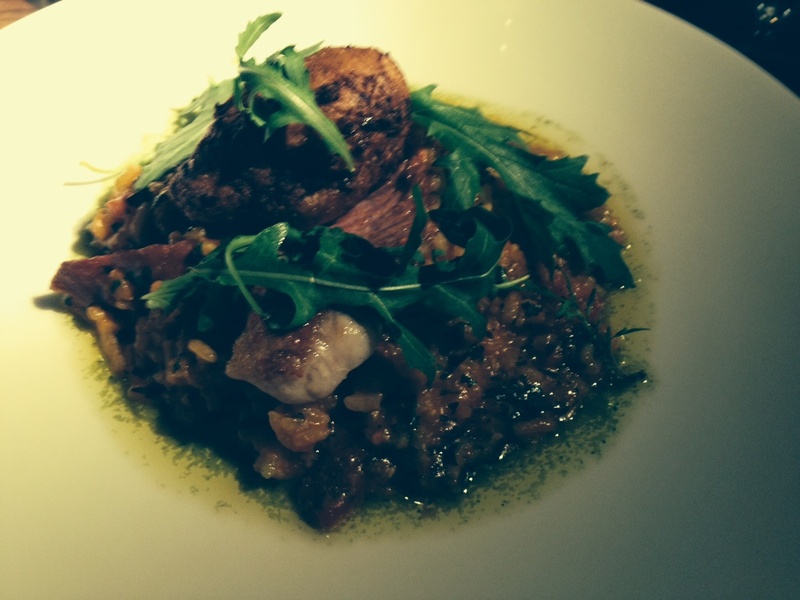 For my main I chose Pan-fried red mullet fillet with a chorizo, mussel and saffron paella, roasted red pepper aioli and a prawn and oregano fritter. I do not eat red mullet often so this was a real treat; the fish was delightfully flakey and the paella was not in the slightest bit stodgy. The strong flavours were not too overwhelming and complemented each other well, a real winner of a dish with the unusual addition of the prawn fritter. 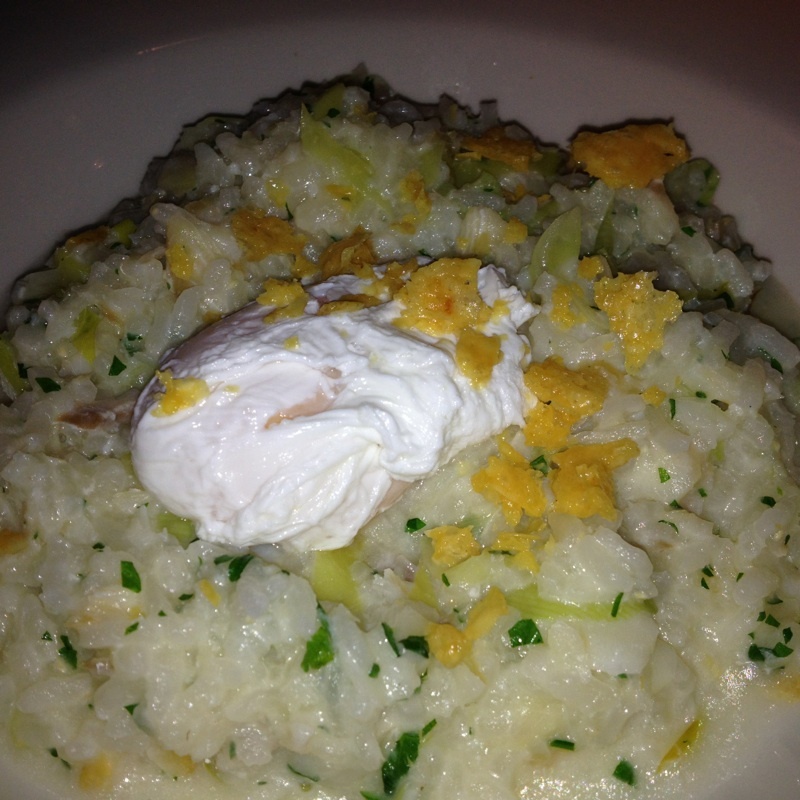 My other half chose the risotto of the day, Leek, parmesan and smoked haddock risotto with a poached egg and crispy parmesan. We make risotto a lot at home but Neil said he thoroughly enjoyed this dish and that the poached egg and crispy parmesan were a welcome addition. 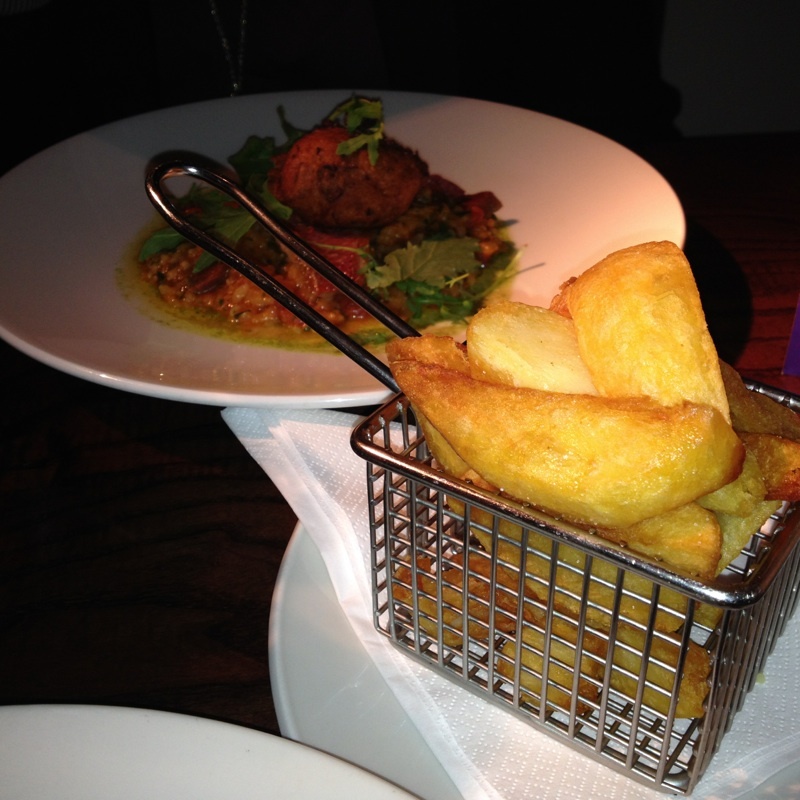 We also couldn’t resist some triple cooked chips after seeing other diners have them. Really crispy on the outside and fluffy on the inside, just as they should be! I loved the little basket they were served in too. Although we were both rather full, as we had drunk half a bottle of wine each, our willpower had disappeared and we both opted for a dessert. 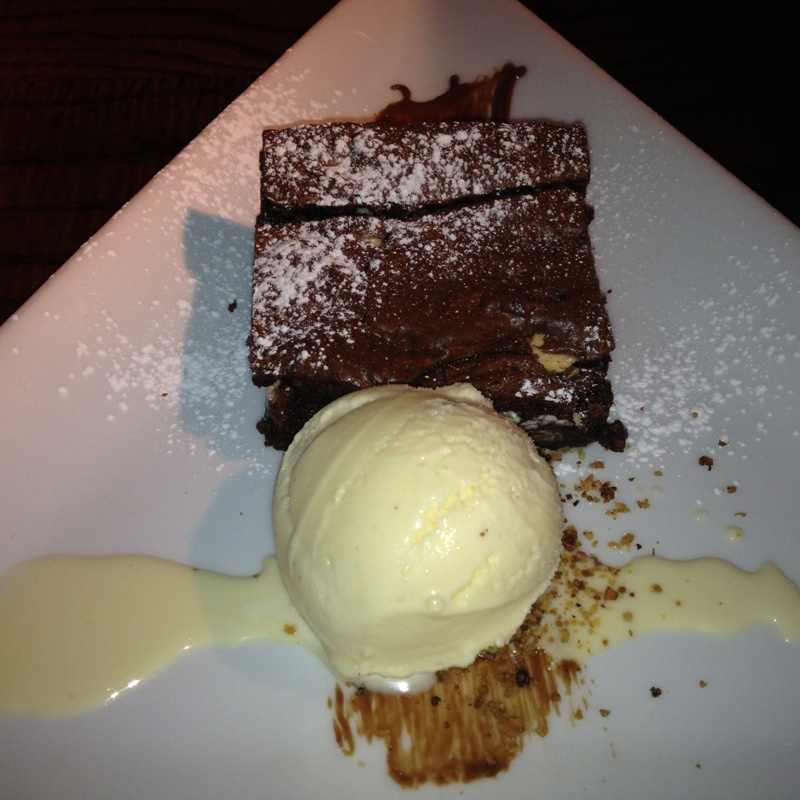 Mine was a double chocolate brownie with ice cream. Unfortunately I cannot remember the flavour of the ice cream but I can tell you it was really creamy and a wonderful addition to the slightly warm, gooey, chocolatey brownie. Neil was very envious of my choice and it really did melt in your mouth. Neil chose cheesecake for his dessert, one of his favourites. 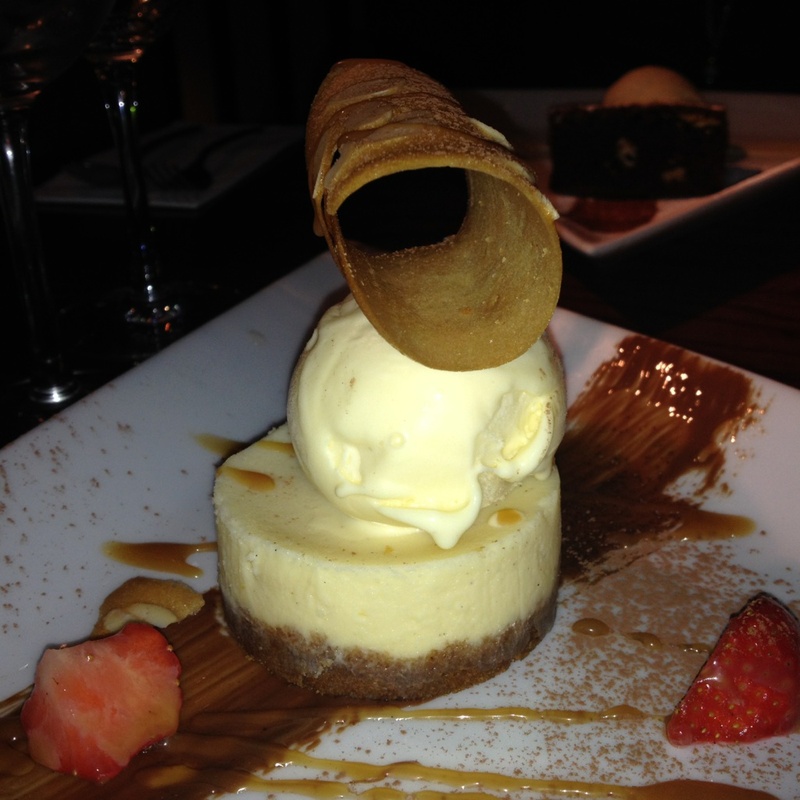 I think it may have been a white chocolate and butterscotch cheesecake but unfortunately my memory has got the better of me again….perhaps the wine had addled our brains by this point in the meal! 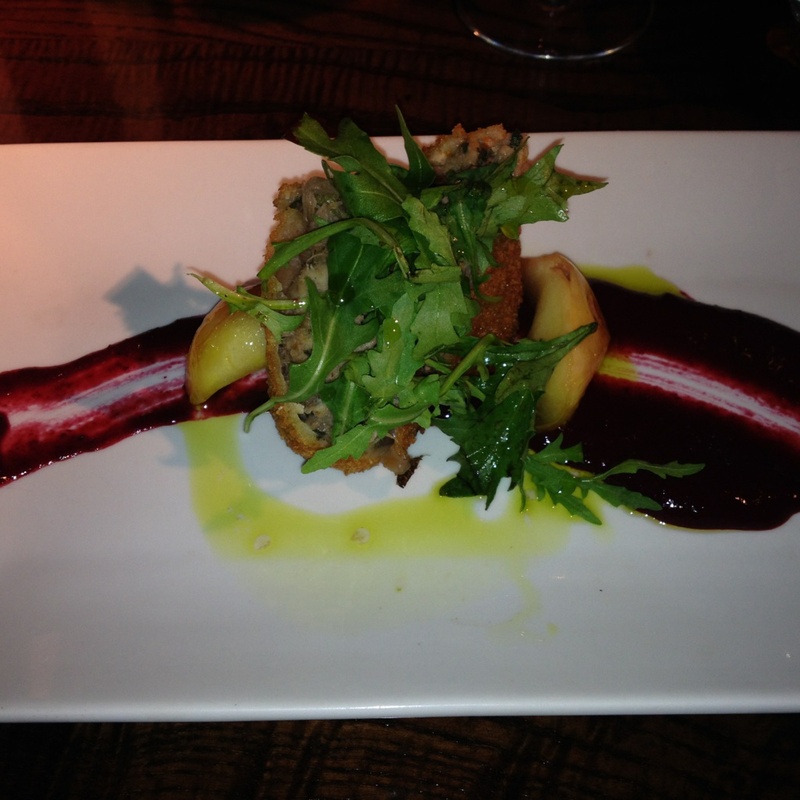 It was a beautifully presented dish and Neil thoroughly enjoyed it. 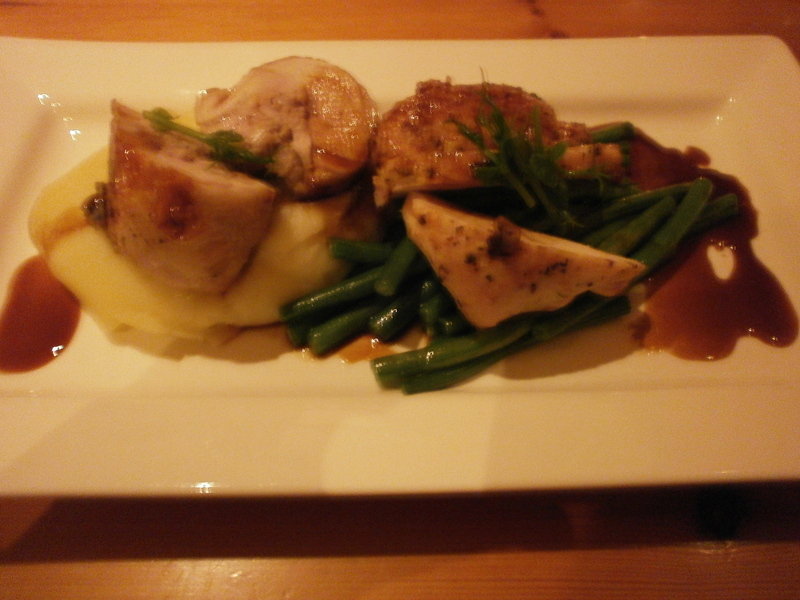 We both agreed that we had a wonderful meal at the Hopping Hare and would certainly go again. The restaurant isn’t the cheapest in Northampton with our bill coming to just under £80 for the two of us (including a bottle of half price wine and two large glasses) however, the quality of the food, along with the presentation, speaks for itself. 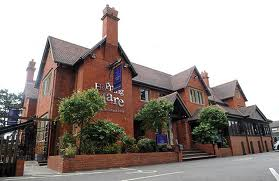 I would thoroughly recommend a visit to the Hopping Hare, particularly on a Friday evening for the half price wine! The Wig and Pen on St Giles Street, Northampton town centre is one of my favourite pubs in Northampton. In fact, I cannot believe that it has taken me this long to post about it! It really is very good, and its popularity is for a variety of reasons – not simply a good variety of drinks and a good atmosphere. Talking of atmosphere, the Wig and Pen has a great one. In a town where the variety of pubs cater to your typical larger lout out on the town on a Saturday night, the Wig and Pen makes a refreshing change; it is what I would call an ‘old man’s pub’. Dont get me wrong, I love ‘old man’s pubs’, they are traditional pubs that Britain is famed for, I just wish there were a little more about these days. Why would I describe the Wig and Pen as an ‘old man’s pub’? Well the clientele is certainly a little older, definitely mid twenties plus which I have no problem with at all; the people I generally go for drinks with don’t go out to pick up men or gawp at women with far too little clothes on! It also doesn’t play booming loud pop music and does not have posters everywhere advertising the latest revolting sounding shot or promo on urine-like larger (gosh I sound like a grumpy old woman today!!). Anyway, everyone in the Wig and Pen seems very friendly and out to have a good time which makes for a nice relaxed atmosphere. The interior of the pub looks rather traditional which is as it should be I guess considering the building is really very old; it is rumoured that parts of the building are haunted and seances have previously been held there. The garden is somewhat more modern with comfortable rattan furniture, patio heaters and even a flat screen TV to watch the rugby on (speaking of rugby, the Wig is a big Northampton Saints supporters pub and is almost always packed on match days!). My only criticism is that the pub is quite small and it can often be difficult to get a seat, especially as the pub is so popular. Anyway, the selection of drinks on offer at the Wig and Pen really is fantastic. They have a wide variety of real ales on tap and also have regularly changing guest ales and ciders. The wine selection is also very good as is the choice of bottled continental beers. There are regular ale and cider festivals which almost always coincide with bank holiday weekends – always a winner!! Another bonus is that the pub offers ‘Beer Tapas’ – three third pints of different ales for the price of the most expensive pint. An excellent option if you want to sample more than one of the ales on tap and still be able to walk straight! On to the food which is the main attraction of this place for me! 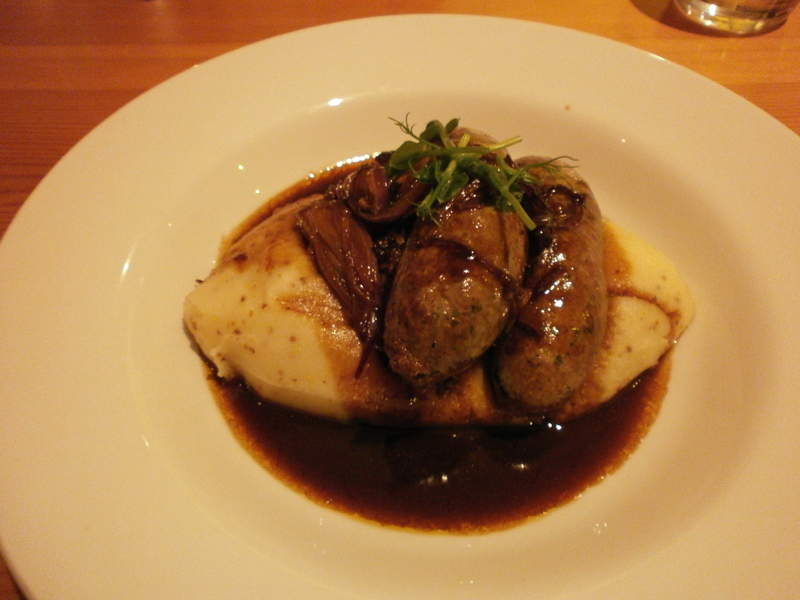 The menu may look like a typical British pub menu serving dishes such as assorted sandwiches, sausage and mash, pies and burgers however, it really is something special. 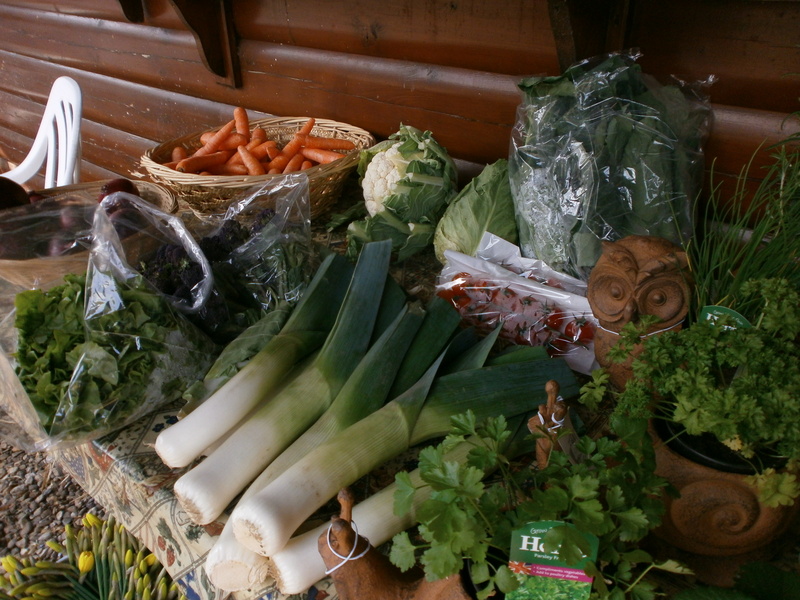 You can tell that a lot of thought and attention has gone into the food here, the presentation is always excellent and the ingredients are, where possible, locally sourced. There are also mouth-watering sounding daily specials and a ‘Butcher’s Best’ night each week which promises a selection of locally produced meat for two. Mr MAC and I have eaten at the Wig and Pen twice recently and both times have chosen to eat deli boards. On numerous occasions, we have been let down at other pubs by their sharing boards – there has not been enough food to eat or the food is bland and tasteless and has come straight out of the freezer. This is certainly not the case at the Wig and Pen! 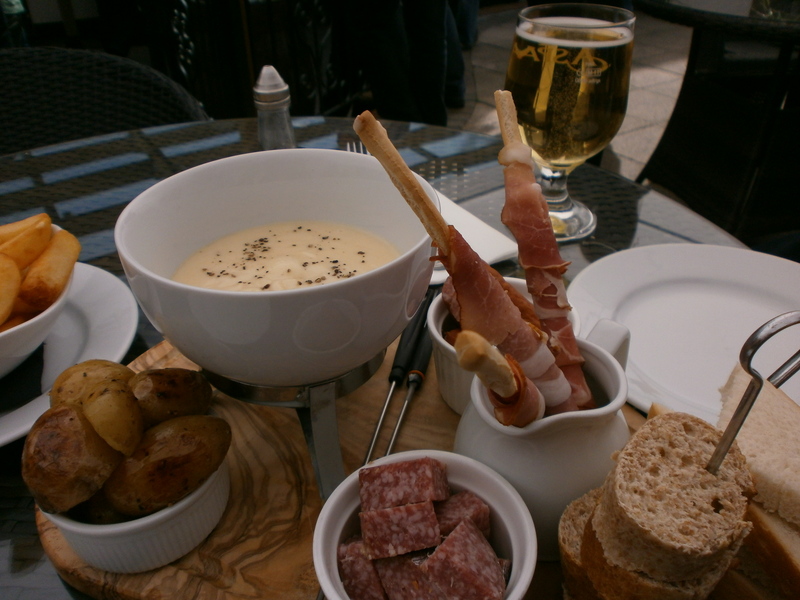 We first tried the cheese fondu; absolutely gorgeous with plenty of tasty meats, potatoes and bread for dipping. We weren’t sure what the size of the platter would be like so we also ordered some thick hand cut chips; it turned out that we really didn’t need them but they were so crispy and fluffy, we still managed to finish off the entire bowl!! Each element of the dish was obviously carefully thought out and the proof certainly was in the tasting! Our second experience of eating at the Wig and Pen was on a cold, rainy Sunday so therefore the obvious choice was a warming, hearty pie sampler to share. 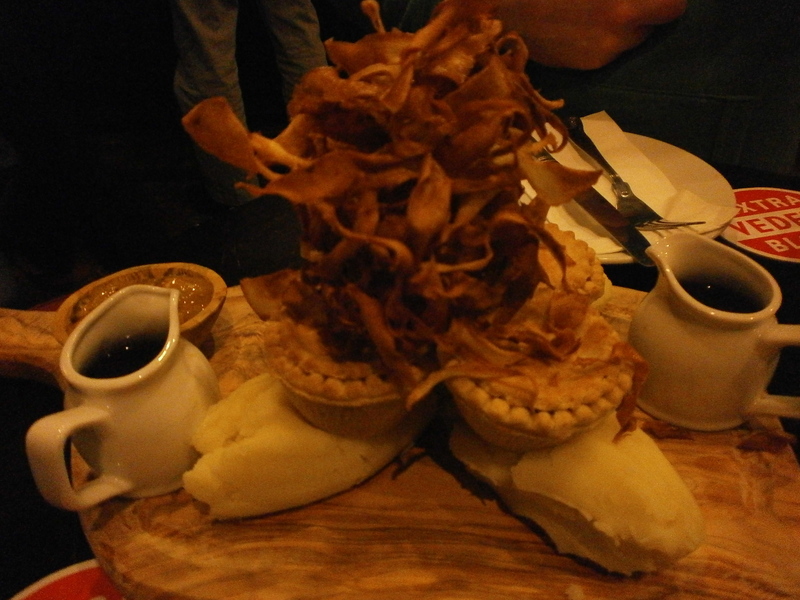 The ‘Wig and Pen Pie Sampler’ featured chicken and mushroom, steak, vegetable and steak and kidney pies served with mash potato, gravy and parsnip crisps. It not only looked beautiful but was also really tasty. I would not normally choose to eat a pie in a pub as, from memory, they can so often be tasteless and stodgy but this was not the case. The mash was wonderfully creamy and the gravy had a beautiful flavour plus, I am always a sucker for parsnip crisps! The sharing boards are not only a very filling meal but are really reasonable at £8.95 for one or £12.95 to share. Another important thing to note about this pub is the entertainment that is regularly on offer. My boyfriend and I have watched quite a few bands here and they have all been really good. I love the fact that the pub has jazz nights each week and bands playing live on a Sunday afternoon. As mentioned previously, this is a big rugby pub so all the matches are shown here and they even open extra early sometimes for matches that take place abroad (and serve wonderful breakfasts to boot!). Visit this pub. It really is very good! I adore curry. 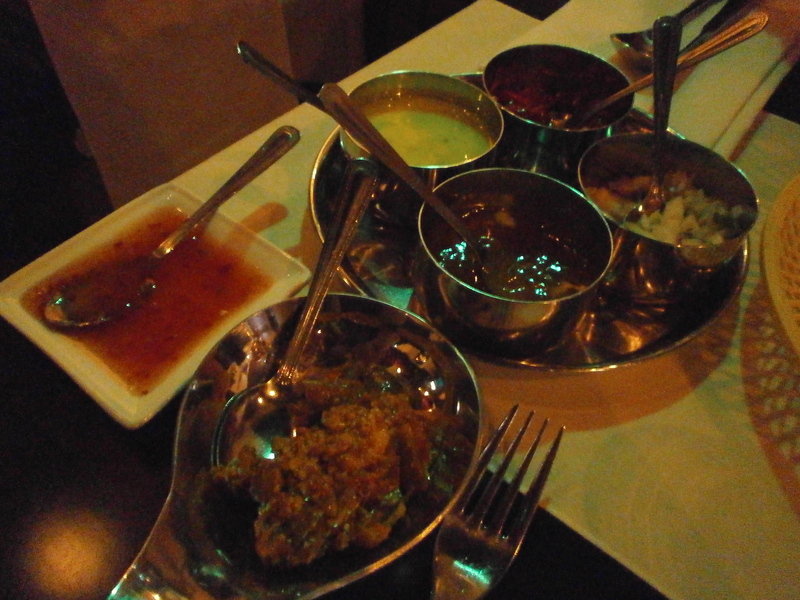 Having lived on the ‘curry mile’ in Manchester for some time, I like to think I know a good curry when I taste one. 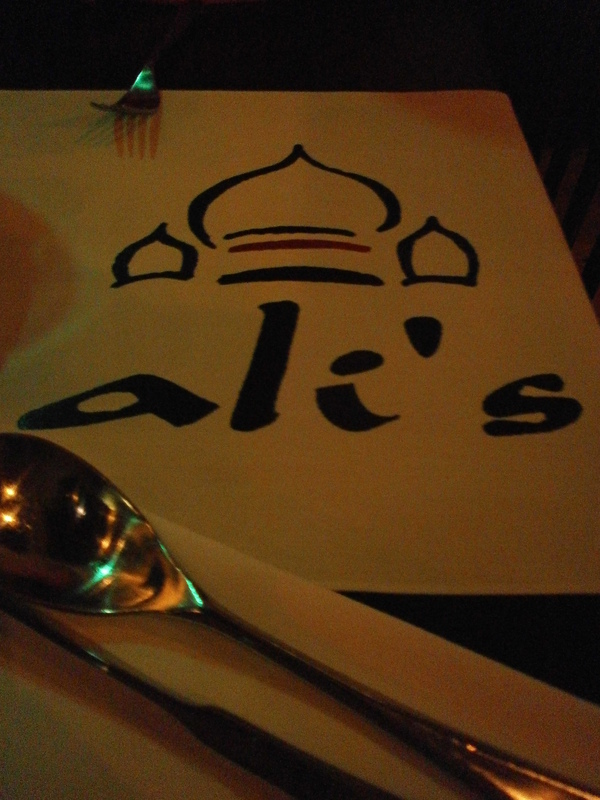 Ali’s in Wellingborough, Northamptonshire certainly serves some very good curry, so Mr MAC and I decided it was the perfect venue for a Saturday night meal out. We originally booked our table for 8pm however, we rang up earlier in the day asking to change our reservation to 7pm; this was not a problem at all. When we arrived, the restaurant was pretty quiet with several people waiting for takeaways in the bar area. This soon changed however, and by 8pm the restaurant was heaving. Ali’s is very popular with locals and people from farther afield alike; with some excellent reviews on tripadvisor I am not surprised that people are willing to travel some distance for a meal here! The restaurant is nicely decorated with various bits of jewellery displayed, lantern light features and material hanging from the ceiling. Even the plates and table runners have the name of the restaurant on them which both Neil and I thought was a nice touch. We started our meal with some poppadoms and a good selection of chutneys. The sweet chilli sauce had a really kick and the mango chutney was deliciously sweet. 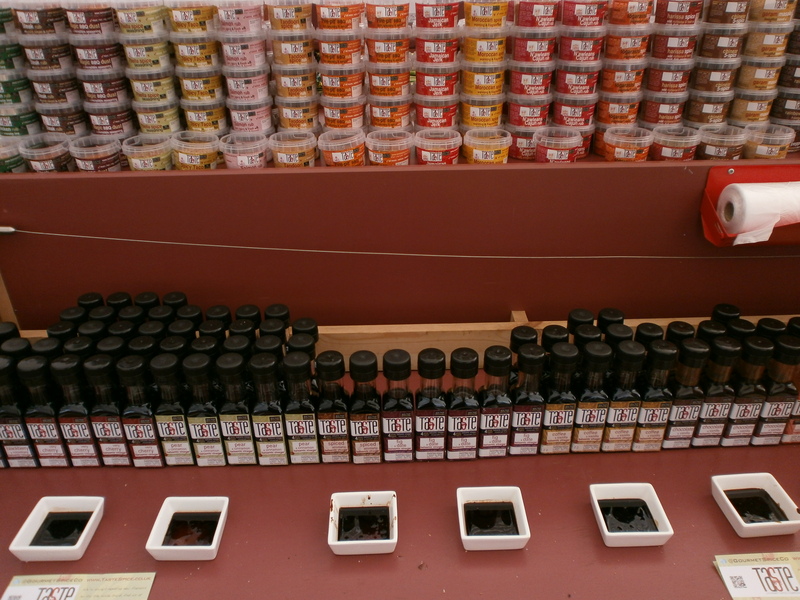 I must admit I didn’t try the spicy pickle…I am a bit of a wuss! 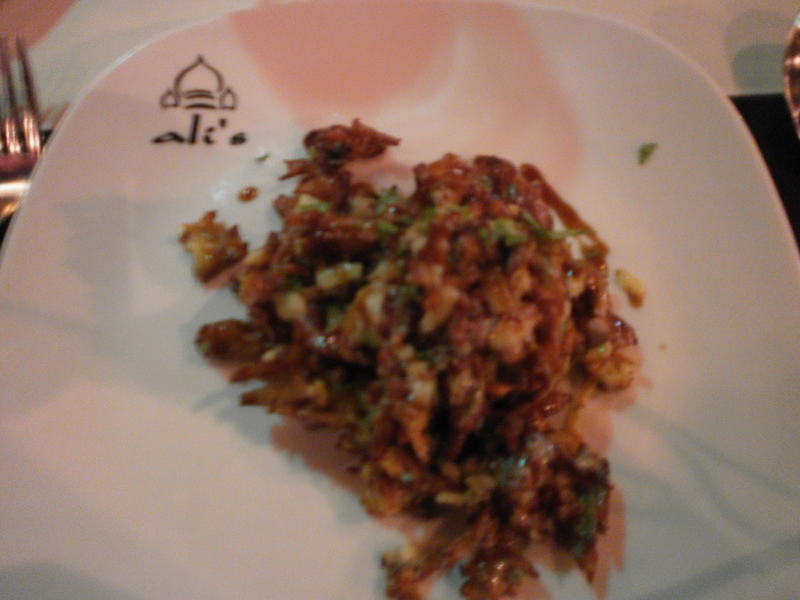 I don’t usually go for a starter when I go for a curry but at Ali’s, I really couldn’t resist! I had visited a few months earlier and my fellow diner and I were given a complimentary starter of an ‘alternative’ onion bahji – something that wasn’t on the menu and whisked up but the owner himself. I raved to my boyfriend about this dish for months so had to ask if I could have it again. 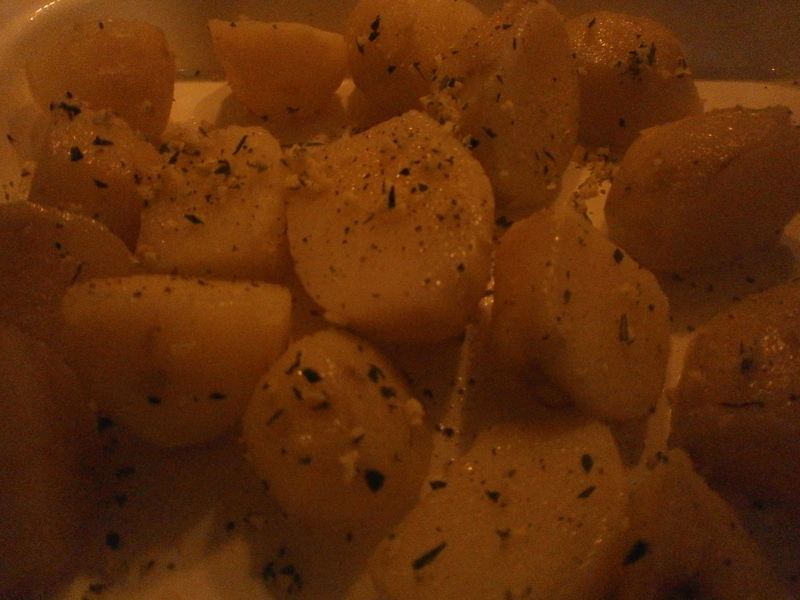 The dish had a lot of texture to it and sweetness coming through with a hint of coconut, truly scrumpcious! Mr MAC opted for a lamb sheek kebab to start. 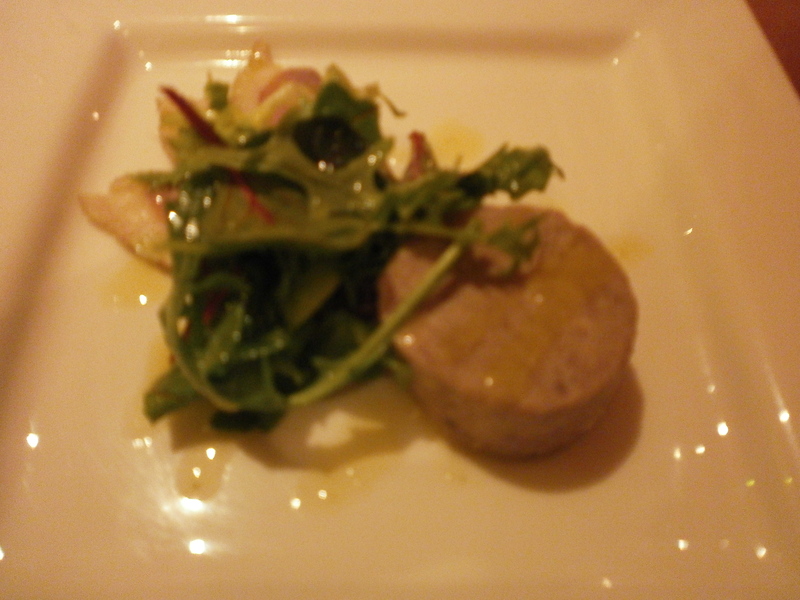 It was very nice with herbs and mild spices and was the perfect sized portion for a starter. On to the mains. 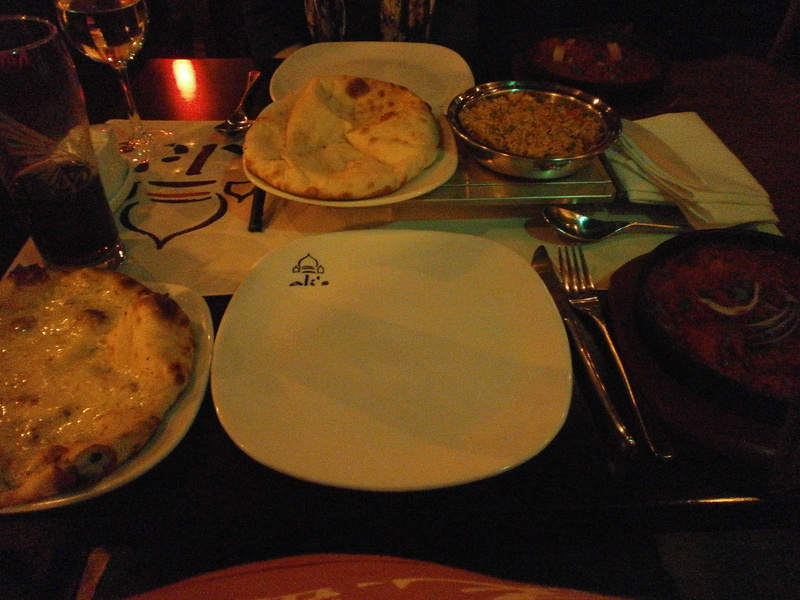 We both decided to try something different and opted for a dish from ‘Ali’s Recommendations’. I chose the Raj Shahi Khanna, spicy meatballs stuffed with garlic cheese covered with a medium hot bhuna sauce garnished with strips of fried potato. The meatballs themselves had a lot of flavour and the cheese just oozed out. The sauce definitely had kick to it but it was very tasty indeed. I was very pleased with my choice! 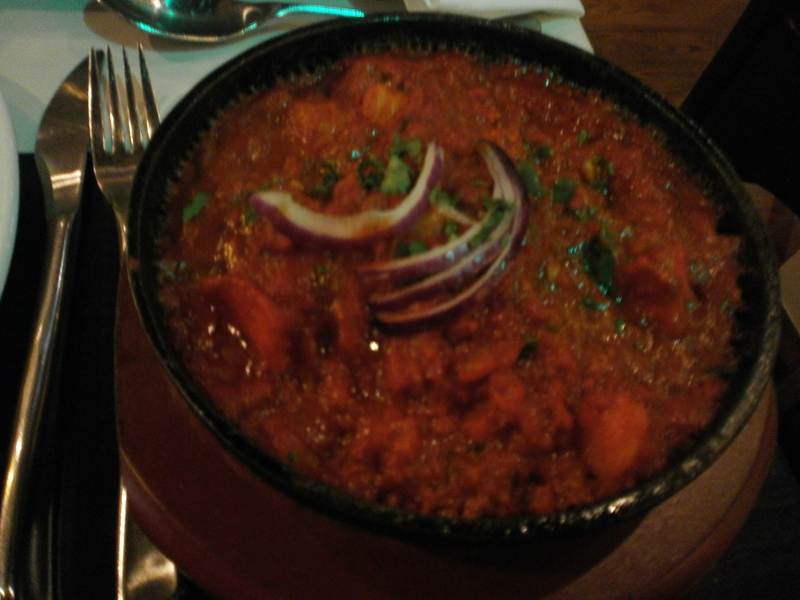 My boyfriend chose the Murg Mossala, fillets of marinated chicken cooked with spicy minced lamb and potatoes in a medium hot thick sauce. The dish was really tasty. 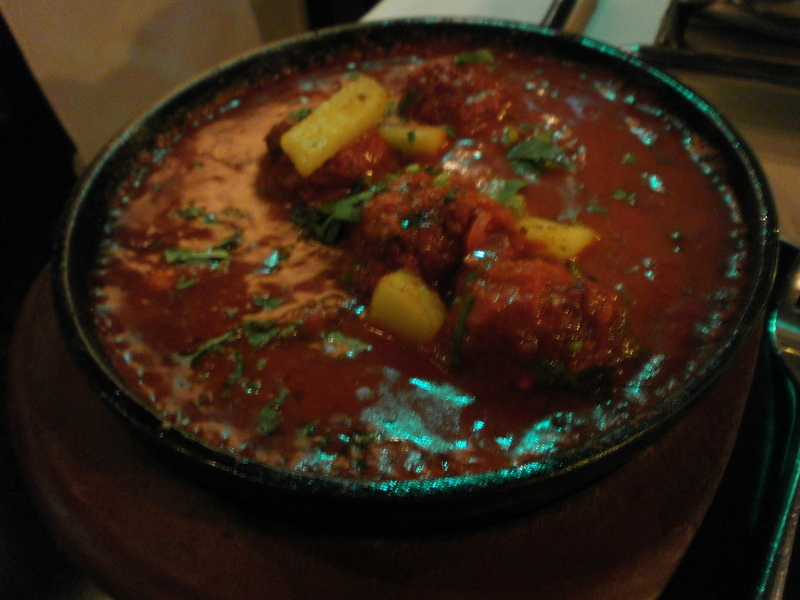 The meat was tender and although the sauce was quite mild, it had a real richness to it. We shared a house special fried rice, which contained lots of chickpeas, peppers, prawns and meat and we also had a naan each. I opted for my favourite, peshwari, which was nice and crispy in a few places but fluffy and light in others – just the way I like it! Mr MAC had a cheese and garlic naan which looked more like a mini pizza which was not something we expected! He said it was nice but he is unsure whether he would order it again. After all that food, we were far, far too full for a dessert. We did manage to eat an After 8 each when the bill arrived washed down with a complimentary drink. 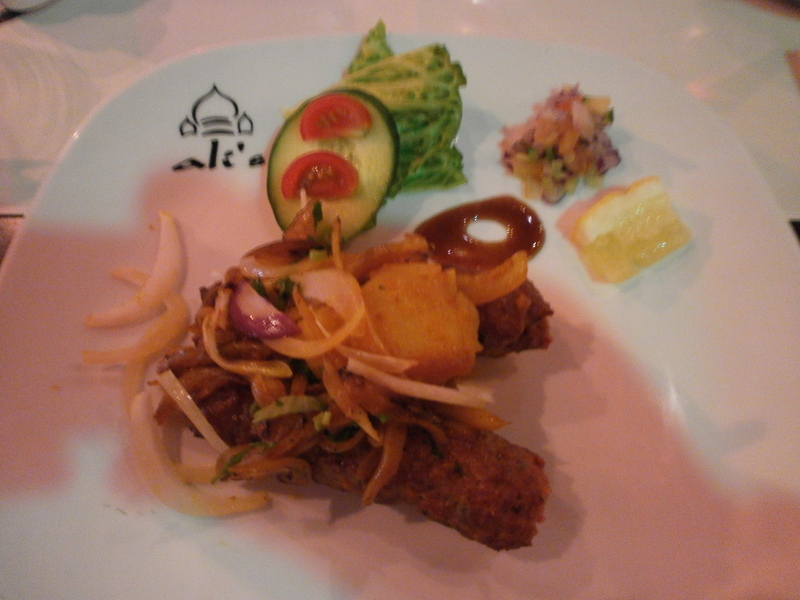 Each time I have been to Ali’s I have been very impressed with the service. Not only will dishes be recommended or made to your taste, complimentary drinks and dishes are often offered. 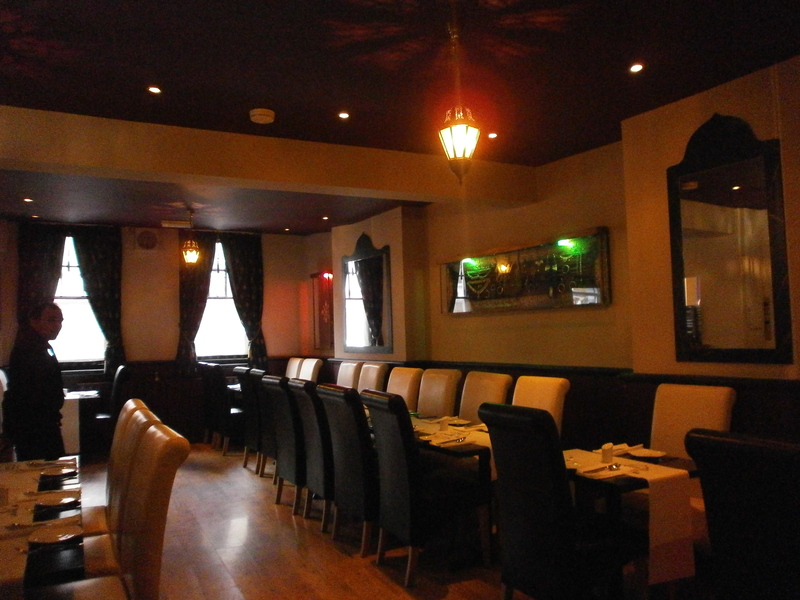 The service really is excellent and the owner really does appear passionate about the food he is serving – not something you see that often at your typical curry house. 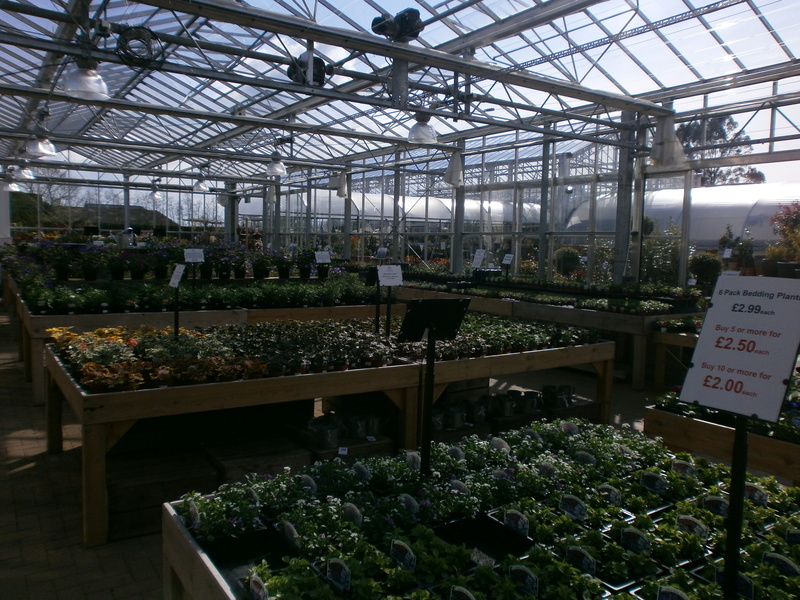 Whether you live in Wellingborough or a bit of a drive away, I would recommend a trip to Ali’s – it really is a place worth visiting. Service: Excellent AND included a free round of drinks! 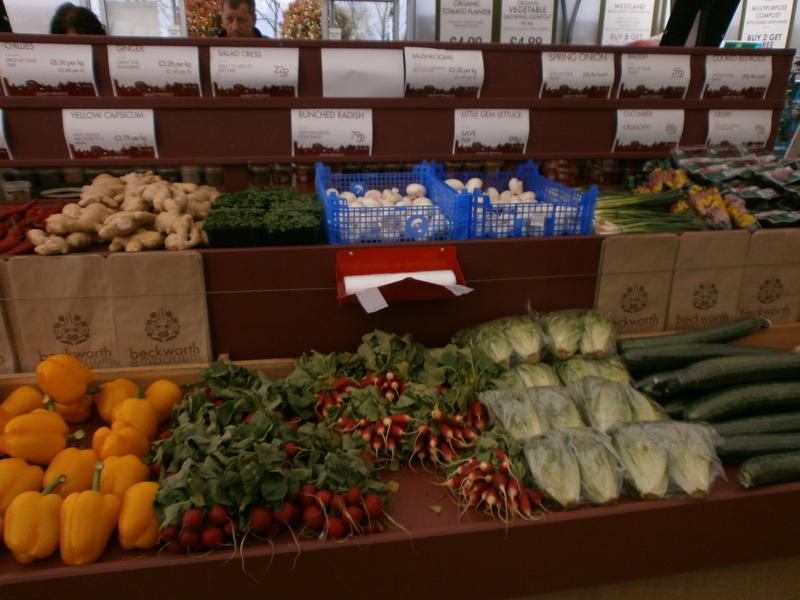 How to choose the right beer for food – Food & Drink – Northampton Chronicle and Echo. 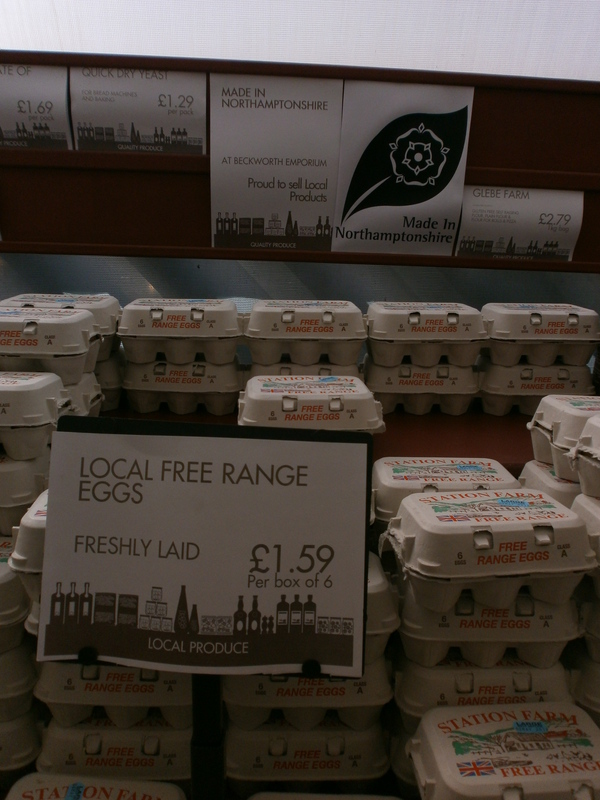 Two interesting foodie articles in two days…the Northampton Chronicle and Echo is on a roll! I must admit, I am not normally a beer drinker. A wine drinker, most definitely. A cider drinker, often. A vodka drinker, occasionally but a beer drinker, hardly ever!! This article did get my attention though and really got me thinking. I have previously used ales in cooking and know full well that steak and ale go beautifully together….when accompanied by pastry that is! I think I will have to take Paul Barton’s advice and pay the Queen Adelaide a visit and take up a few of his suggestions! 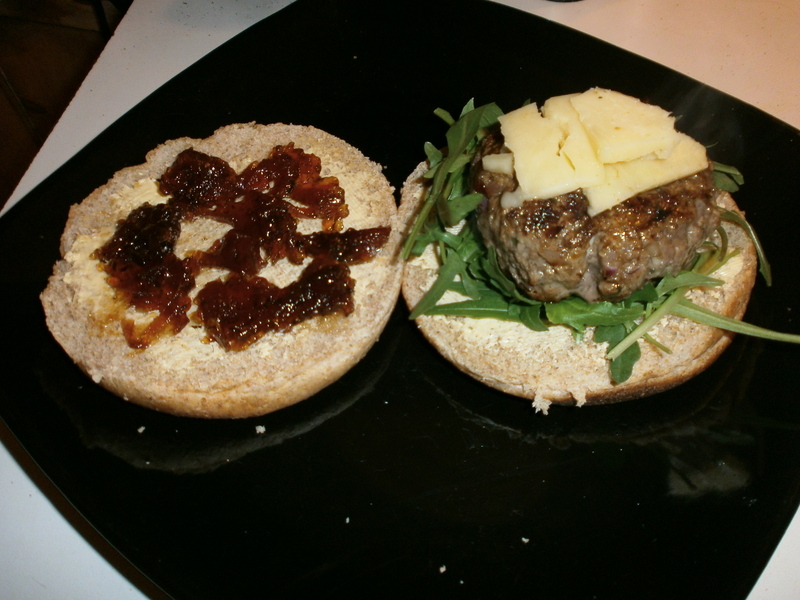 Smile and say cheese.. or meat.. or dessert as food photography takes off – Food & Drink – Northampton Chronicle and Echo. Last night I came across the above article in my local paper, the Northampton Chronicle and Echo. I found the article rather amusing! I would tend to agree that the trend of food photography is on the rise as is the posting of pictures of food on social media sites. Many of my friends have more recently started taking photos of their lunch or dinner only to show them to others or post them on facebook. 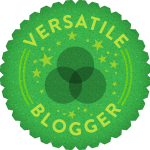 I am sure many of my fellow food bloggers will chuckle a bit when reading as this is something we have been doing for a long long time. I must admit that at times I do feel rather conspicuous taking photos in a restaurant however, I do hope that the chef will see it as a compliment and that the venue will be pleased with some free publicity! What are your views on the article? Do you think that taking photos in restaurants can be negative as they do not capture the food in the way the chef intended? Do you take photos of the food you are served or do you find it really annoying if people at the table next to you are clicking away? Easter weekend certainly has been busy so far, hence me being a very naughty blogger and not writing many new posts this week, bad Sarah!! The long bank holiday weekend got off to a fine start on Thursday night with a visit to Marmaris BBQ, a turkish restaurant/takeaway on St Giles Street in Northampton town centre. Mr MAC and I had arranged to meet up with friends for a few drinks that night; my boyfriend stated his idea of a good dinner would be a greasy kebab at the end of the night. He was, at first, a little bit disappointed that I took him to Marmaris for a pre-beer, healthy kebab (without thousand island sauce and a plastic box!) however he soon changed his mind….! I have walked past Marmaris many a time and have been very intrigued. It looks like a slightly upmarket takeaway with a food counter in one corner and a fair few tables crammed into the small premises. It is nicely and aptly decorated with lots of rugs on the wall, ornate lighting fixtures, bright colours and appropriate looking candle holders on each table; very turkish. The place always seems to be packed so I wanted to discover what all the fuss was about. As the downstairs was already full at 8pm, not surprising considering the size of the place, we were seated upstairs which was a bit quiet to start with but was virtually full within 20 minutes. Service was very quick. We both decided that we wanted main courses, no starters or deserts on this occasion. I went for the Tavuk Shish – Chicken seasoned and grilled on skewers served with salad whilst my other half went for Mix Shish – Lamb and chicken cubes served with salad. By this point, Mr MAC was still having a bit of a sulk as he was anxious to get to the pub and thought eating in Marmaris rather than getting takeaway would eat into valuable drinking time; he couldn’t be more wrong as we ordered, ate and paid the bill all in 40 minutes!! The food really was excellent. 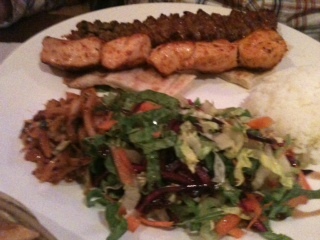 The kebabs were tender and not at all greasy. The salad was nice and colourful with a lovely fresh, zingy dressing. The rice was also nice. 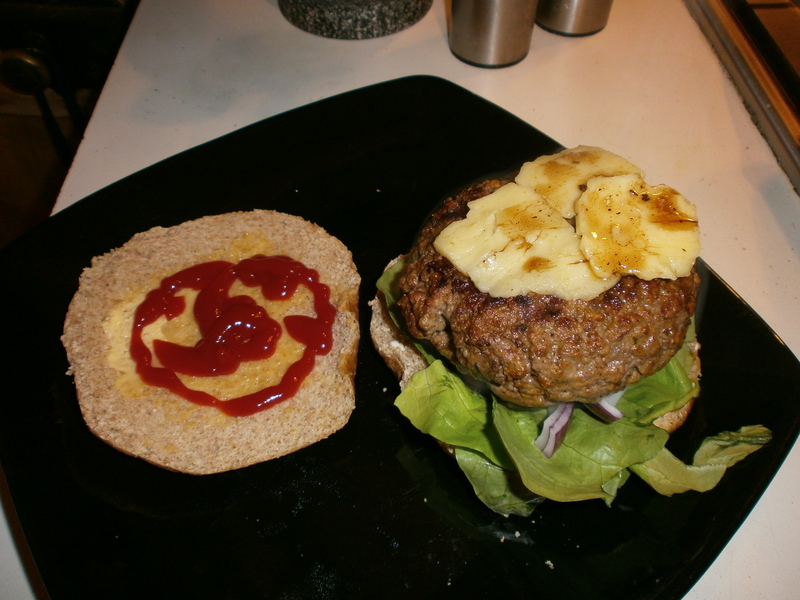 A very good option for someone who wants to have a fairly healthy, low-fat meal out. 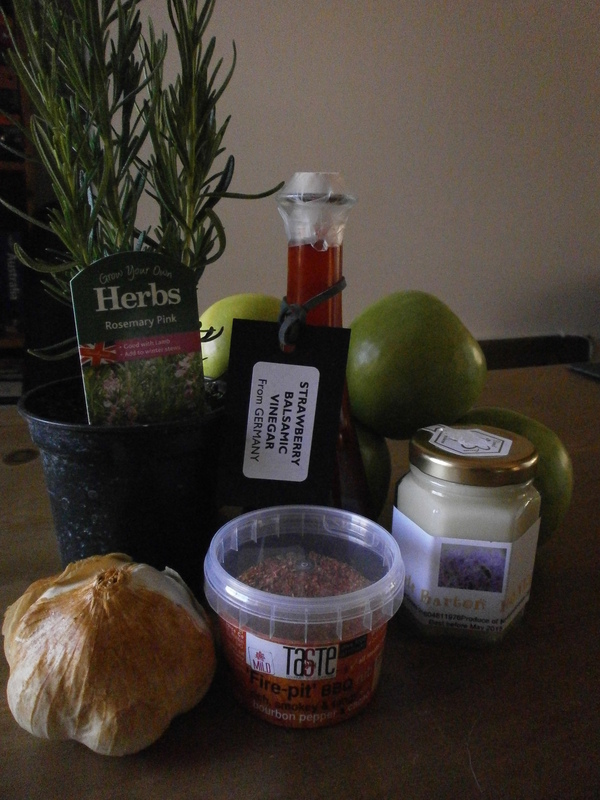 We were also given a basket of pitta bread with a bowl of special onions on the house. The onions really were delicious but we weren’t quite able to figure out all the elements of the dish. 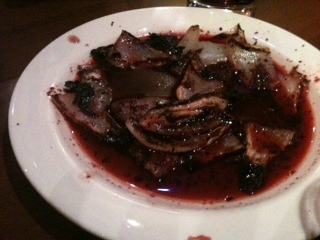 I think the onions were chargrilled in a red wine and herb vinegar with lemon juice. Anyway, they were delicious and a much appreciated compliment to our meal. I am incredibly nosey whilst eating out and always try to get a good luck at what others are eating. The couple next to use had a mixed meze to start which looked like a lovely selection of humus and various other turkish style dips such as featured on the extensive menu. For a main course I saw another table have some of the chefs specials which I was very tempted by. These kebabs came in individual casserole dishes topped with a yogurt and tomato sauce, possibly an option for next time! Marmaris offers a great selection of vegetarian and pescetarian options as well as lots of juicy meat related dishes for us carnivores. Mousaka, falafel and a personal favourite of mine, Dolma (stuffed vine leaves) were all on offer as well as Seabream, Seabass and Salmon. I was not overly impressed by the drinks selection. There was a list of red wines and white wines on offer however, I only wanted a glass of wine which was described on the menu as ‘Glass Wine £4.00’ – no explanation about the type of grape, size of the glass etc! I was a little concerned that the wine wouldn’t be that nice so instead opted for a diet coke as did my other half as there was no cider on offer and only one type of beer! 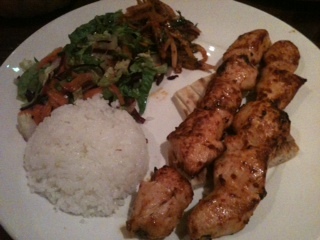 Marmaris is in an ideal location for a pre night out meal. I would highly recommend it for a quick speedy and fairly healthy meal however, I would not recommend it for large groups as I think there would be a bit of a problem with space! I have been told that booking can be essential if you are in a group of more than two people. Well worth a visit next time you are in Northampton town centre.